When you have a pastry chef whose first name is Ace, then the odds are he knows a thing or two about desserts. A humble man is Ace, a bit of a quiet type. But put a mixing bowl in his hands and he is all action hero. One look at his almond and amaretto pudding with vanilla caramel custard will tell you that. The thing about Ace, and the rest of the Saga Pearl II team for that matter, is they all have highly infectious personalities. 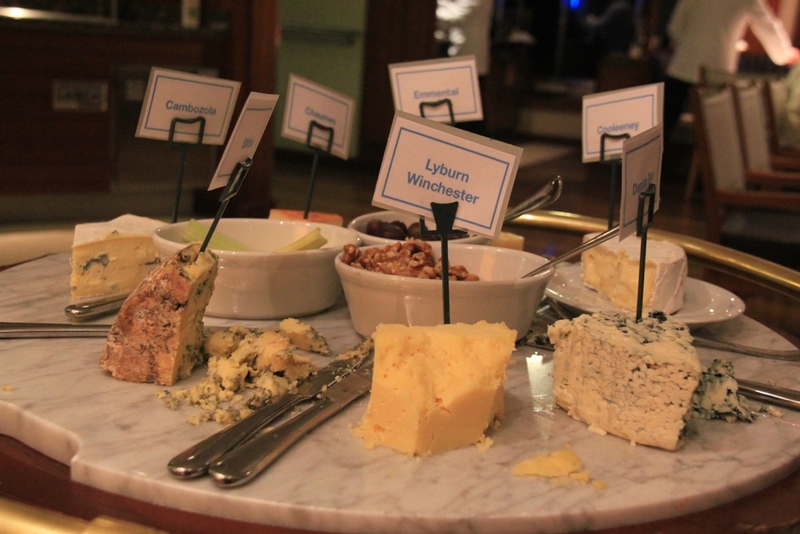 The one infectious thing that’s very welcome on a cruise ship. Of course, it helps enormously when the passenger count is under 450, a couple of days in and everyone knows everyone. 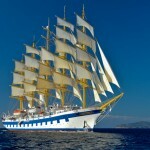 I joined up with Saga Pearl II at Fuerteventura, a week into her 21 day Azores and Canaries in Spring cruise. A flying visit to perhaps lay a few preconceptions to rest. The humble truth is, you qualify for Saga at 50, and if you are lucky enough to have a travelling companion who is 40 plus, so much the better. Having said that, Saga does do single travelling exceptionally well. There’s even a rumour about gentlemen dancing hosts available in the evenings aboard ship, but I’ll get round to that shortly. The Canaries has always been a popular winter destination and Fuerteventura’s sub-tropical sunshine was in full bloom as we rolled into the island’s small capital, Puerto del Rosario after an early flight from London. 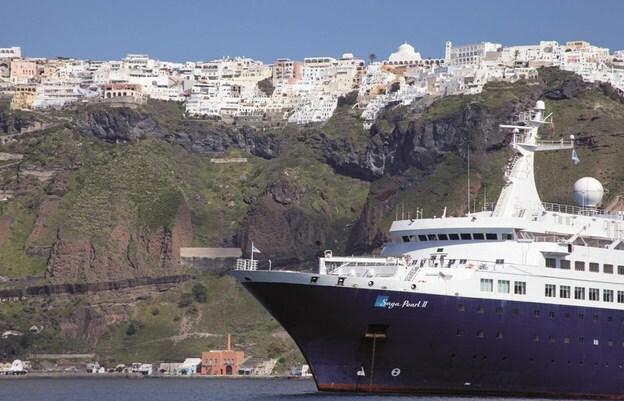 This was a little out of the ordinary, as all Saga cruises begin and end from your home in the UK with executive transfers to and from the ship included in your cruise package. In my case, it was a little less glamorous. Just a car to the airport. Still, it was on time, comfortable and still felt a little bit special. I was relieved to see Saga Pearl II waiting patiently for me in port, looking serene and not the slightest bit perturbed she had no other ships for company. With most of her passengers ashore on an island tour, there was just enough time for me to explore my new temporary home before lunch. 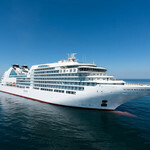 With just 449 passengers this felt less like a ship and more like a yacht. That said, my cabin was a pleasant surprise. It welcomed me with open arms via a basket of fruit and a plate of tasty looking pastries. No balcony but plenty of window space, a spacious room with a large settee and desk, the double bed tucked snugly around the corner. The bath and shower combo, 24 hour room service and free wifi added to my list of grateful surprises. 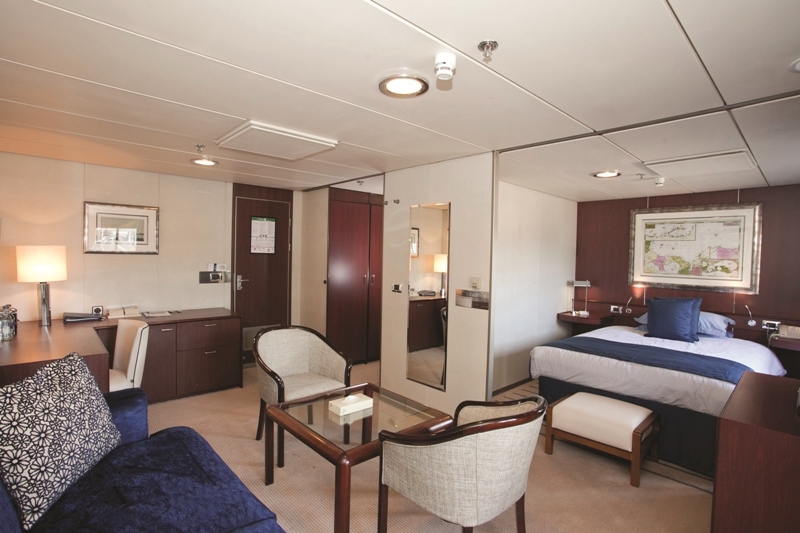 There are just seven decks aboard Saga Pearl II and it took just a few minutes to walk from one end to the other. 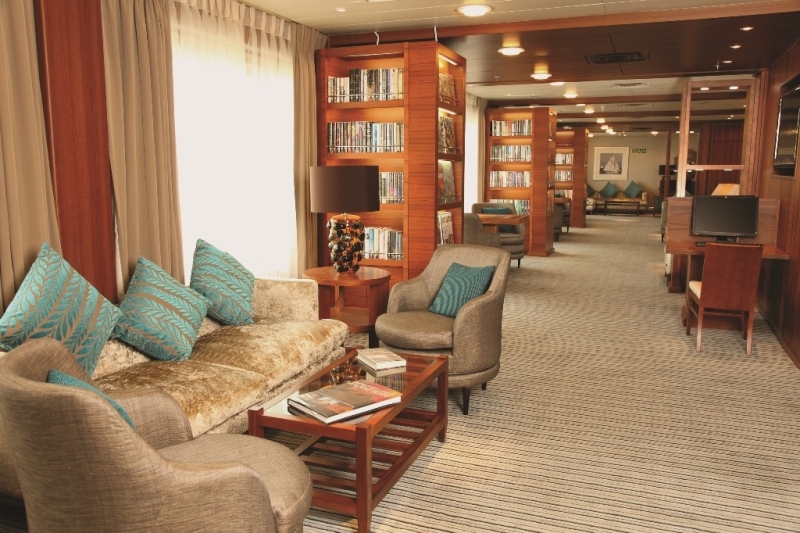 I wandered up to the Promenade Deck where the library with over 3,500 books, DVDs and computers awaited. 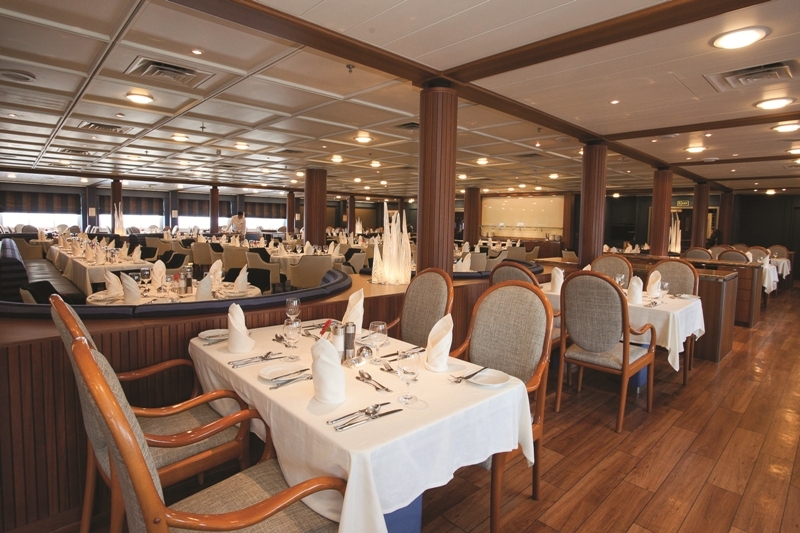 Close by, the Discovery Lounge, the ship’s main entertainment space looked highly capable of putting on a show or two. One flight up to the Boat Deck, I found the Verandah, one of two on-board restaurants where the thought of al fresco dining around the outdoor pool was a diversion well worth considering. The draw of a sumptuous buffet lunch was too much to bear, so a quick peek into the main dining room, a glance at Shackletons, the main bar and a race around the sun deck later and I was back at the Verandah for a buffet lunch of quite epic quality with wines included and not a liquidised dish in sight. Later, after some suitable down time to recover from an over indulgent lunch, I returned to the sun deck to chat with ORCA, a team of marine scientists who have become Saga stalwarts. This charitable organisation uses its time aboard Saga cruises to chart whale, dolphin and porpoise activity in UK and European waters. A hugely important addition to marine research. The team were huddled together at the front of the ship. I left them huddled with a promise to return once we were at sea. By late afternoon it was time to leave Fuerteventura for Las Palmas in Gran Canaria and without so much as a parting wave, we were off. 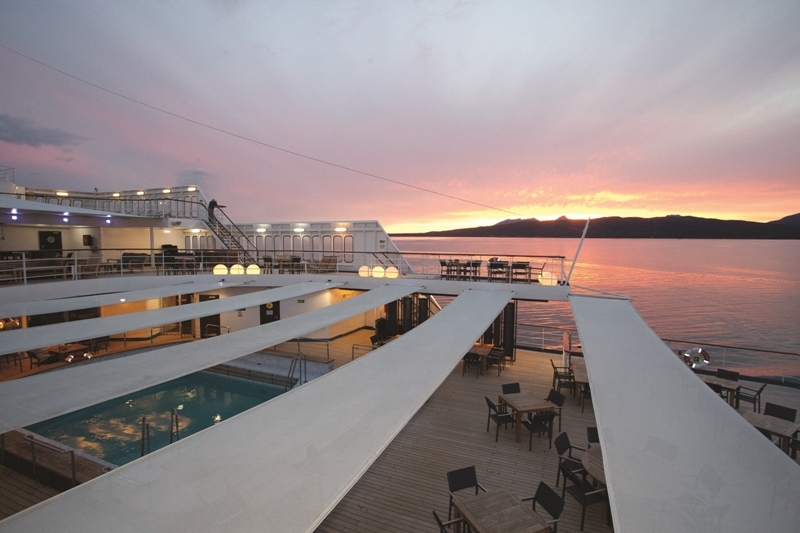 Excursions apart, luxury cruising is about choices in the most part. You can spend your days soaking up sun or reading a book, or you can choose to join in with on-board entertainment. And Saga cruising is no different. Each day there is a timetable of activities from bridge to team trivia, dance lessons to watching west end style shows, all provided by Cruise Director Kayleigh and her enthusiastic entertainment team. There is an emphasis on making solo travellers welcome too. Over 20% of Saga clients travel independently and each day there’s a chance to meet up and get introduced. I reluctantly passed on afternoon tea so I could at least do dinner justice. Dinner was mainly a casual affair (although there were two formal nights over the whole cruise) and no pre-assigned seating. Maître d’ and lord overseer of table seating was Trevor, clearly a man of great influence. A man capable of making tables materialise from thin air. Quite the smooth operator was Trevor. After such an epic lunch, I had high hopes for dinner. This was full table dining with outstanding service , excellent wines included and a quality of food you would happily delve deep into your pockets to pay for on land. Three appetizers were up first; a fresh insalata caprese, beef tartare or sautéed escargot bourguignon in a brandy, Pernod, garlic and parsley butter. A choice of soups then eagerly vied for my attention: French onion, seafood bisque with Armagnac or vichyssoise. After a palate cleansing blackcurrant sorbet, it was onto the mains, and things started to get interesting. I was undecided. 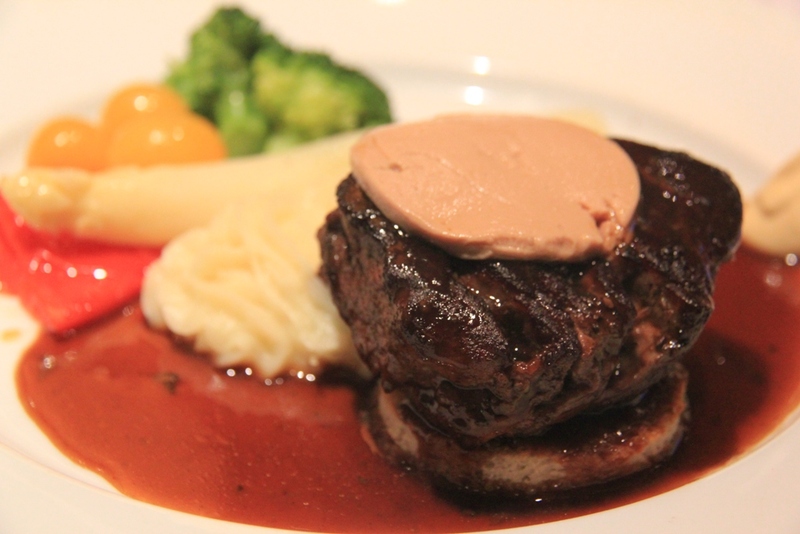 The beef tournedos or slow roasted venison. It was fine for my wife, she simply picked pan-fried Dover sole. But there were too many other options; a bean chilli vegetarian dish, a simple Cornish pasty with chips and peas or a grill-to-order menu of steak, chicken or salmon with all the trimmings. Sounded much better to me. It was after all this excitement that Ace appeared brandishing his dessert menu. Having already waxed lyrical about his almond and amaretto pudding, it would be churlish to not attempt a taste of Ecclefechan tart with plum ice cream, or honey raspberry and oatmeal cranachan with Drambuie. This dinner firmly put to the sword any notion of geriatric catering. This was a stunning selection of food and full marks to Executive Chef Dirk Roessler. By the time I came up for air, i was grateful for the stroll over to the Discovery Lounge to watch Harry Piano, a spellbinding exhibition cabaret of piano skills. Everything from Bach to Bohemian Rhapsody. Afterwards, Saga’s famed Gentlemen Hosts were on hand for any ladies looking for a walk around the dance floor. Not exactly an excuse me, but the hosts certainly had their hands full. Las Palmas, Gran Canaria’s sleepy capital dawned early the next morning after a voyage through the night. Kevin was back table-side for breakfast. “Saw the boss” he said. “she told me you like avocado” it seemed my wife had never been happier since Kevin astutely termed her the boss. “Just as well I ordered you some from provisions then.” As a plate of sliced avocado materialised in front of me. Sometimes, it’s well worth having the boss around. Gran Canaria is a beautiful volcanic island and well worth a stopover and a morning excursion. Santa Cruz in Tenerife was equally memorable. The old city hosting the world’s second biggest carnival each February. Walking the old town, memories came flooding back of a carnival night a few years ago, but that’s another story. By the time we reached Madeira and docked in Funchal’s famous harbour, it was time for me to sadly abandon ship and return home. Saga Pearl II however had plenty more stops ahead of her before returning to Dover. The Azores, docking at Horta before moving on to São Miguel Island, then Brest in France before arriving back in Dover. This Saga cruise has been an eye opener. 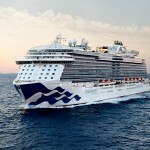 It is a brand perfectly suited to making cruising fun for anyone over 50 with or without a partner. It’s a high quality experience with outstanding food and service, no kids, no designer label competitions and definitely no liquidised meals. And of course, they have an Ace in the kitchen. All images (c) Saga except steak and cheeses (c) Andy Mossack. Dear Andy, I am pleased that you enjoyed the cruise and the ship. Maybe we will give it a go. Another great report from a great Travel Writer.